Elisa Strozyk designed a special edition of her ceramic-tables for Pulpo Products. „CHIARA“ and „FOSCO“ are side-tables which are hand-crafted in a workshop in germany. 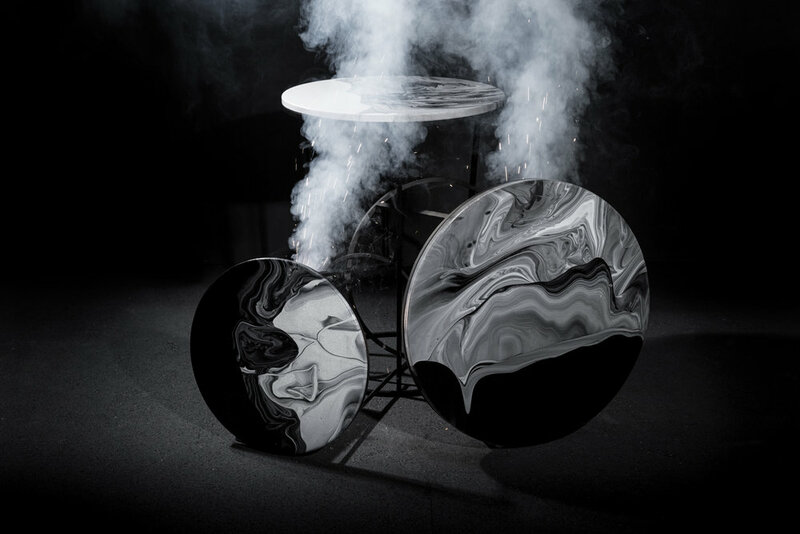 The tabletops are covered with black and white ceramic glazes which are mixed together by external processes like movements, rotation and blown air. This unique technique creates patterns of fluid movements, smoke or stone-like marbeled effects, solidified in the heat of the kiln. A set of side-tables in three sizes with black patterns on a white background. A set of side-tables in three sizes with white patterns on a black background.